Davis 2nd-5th graders have the opportunity to participate in a University Interscholastic League (UIL) Academic Meet with other students from across Austin ISD. The purpose is to provide students the opportunity to academically compete with their peers in a fun supportive environment. 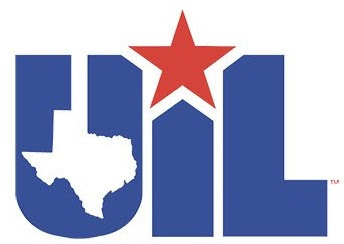 UIL Academic contests helps students develop oral language and communication skills, become independent readers and writers, develop conceptual understanding, learn to solve problems and apply knowledge to all facets of their lives. Selected students will participate in this meet at a local Elementary School, typically some time in February. Students have the opportunity to choose which events (up to 3) they would like to participate in. Each event can have up to 5 student competitors in each grade level participating. In order for our teams to be successful, we will need parents to act as “coaches” preparing the students for their events. Please indicate on the registration form if you are interested in being a Davis coach or volunteering to judge at the meet. Registration is typically due some time in November. To tell a story, the participant must develop skills in listening, thinking and speaking. This contest also allows for the development of creative expression, something being given more attention in the professional world. Contestants shall listen to a storyteller read a brief story (between 600 and 1100 words long) only once, and then retell that story in their own words before a judge or judges, without props or costumes. Individuals are called upon every day to use their ability to make quick mental calculations to make decisions. The development of such abilities should be an integral part of the math curriculum. Concepts covered include, but are not limited to: addition, subtraction, multiplication, division, proportions, and use of mathematic notation. Students will be given a 10-minute, fill-in-the-blank test which they shall complete without doing calculations on paper or on a calculator. Erasures, mark-overs and mark-outs are not permitted. Reading a text out loud serves four purposes: to analyze the text as a literary critic; to grow and to develop as a performer; to communicate a message to an audience; and to perform an artistic creation. All of these apply to the Oral Reading competition, which should be an extension of the classroom literary and language arts activities in poetry, short stories and children’s fiction. Students shall have a maximum of six minutes to read a selection of poetry. Each selection may be one poem, a cutting of a poem or a combination of poems. Selections shall be published although the poet may be unknown or anonymous. Thorough knowledge of the dictionary is a way to increase a student’s ability to find the information that is needed for class work as well as everyday living. The subject matter of all tests is taken from Merriam Webster’s Intermediate Dictionary. Contestants may use other dictionaries in the contest. In preparation for this contest, students will develop skills to communicate effectively. Each test consists of 40 objective questions. Contestants use dictionaries in the competition. Twenty minutes will be allotted for the testing period exclusive of time required for instructions. This contest is designed to help students recognize the importance of effective listening skills and to identify problems they may have in listening effectively. It also provides a challenging format to test the improvement of their listening abilities. Through preparation for the contest, participants will listen to a variety of material and learn to evaluate and critically analyze a speaker’s message. The objective tests will measure skills such as identifying the main idea and supporting ideas, listening for details, drawing conclusions and distinguishing fact from opinion. Contestants will listen to a script ranging from approximately seven to 10 minutes in length, take notes as needed, and use their notes to answer 25 objective questions. Ten minutes will be allotted for the testing period. This contest is designed to help students learn to get information from a variety of maps, graphs and charts including world maps, pie charts, bar charts and local area maps. The objective test will measure skills such as using an atlas as a reference book to locate information, -making comparisons, estimating and approximating, using scale and interpreting grid systems, legends and keys. Some subject matter will be taken from the designated official sources(s). Students will be given an objective test containing approximately 75 objective questions. Contestants may use an atlas during the contest; an atlas will be needed to answer some test questions. Forty-five minutes will be allotted for the testing period exclusive of time required for instructions. This contest is designed to help students learn to get information from a variety of maps, graphs and charts including world maps, pie charts, bar charts and local area maps. The objective test will measure skills such as using an atlas as a reference book to locate information, -making comparisons, estimating and approximating, using scale and interpreting grid systems, legends and keys. Students will be given an objective test containing approximately 40 questions. Thirty minutes will be allotted for the testing period exclusive of time required for instructions.